The unit is equipped with two graphic outputs, HDMI and DisplayPort, supporting a single 4K Ultra HD monitor (3840 x 2160 px.) or dual monitors (1920 x 1200 @ 60Hz), as well as a USB-C 3.1 port, which can carry HDMI and DisplayPort video signals. In addition, you can find a USB-C Power Delivery port, 3x USB-A 3.0 ports (incl. 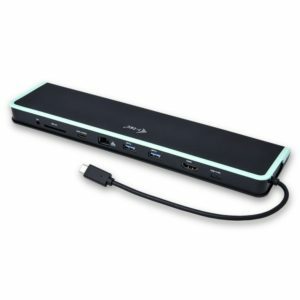 1x fast charge port), 3.5 mm audio input/output jack and a Gigabit Ethernet RJ45 port, making this docking station ideal for transforming your notebook, tablet or smartphone into a powerful workstation. The connection of multiple monitors is known to increase productivity, as it is no longer necessary to spend time flicking between different programs and applications. i-tec docking stations are compatible with the vast majority of notebook brands and platforms, making it easier than ever to connect your favourite hardware. The unit is extremely compact, perfect for use at home or in the office. The connection of all hardware through a single device, via one USB-C port, helps to keep your workspace clean, tidy, and free from unwanted cables. Apple notebooks can be only be connected to a single monitor. Mac OS does not support MST. Dual display transmission is supported by Thunderbolt 3 docking stations. The video transfer is not supported via the USB-C 3.1 (Gen. 1) port. This function is not supported by USB-C docking stations but is supported by Thunderbolt 3 docking stations. Not all devices/systems with USB-C interface support the full standard functionality. Please ensure that your USB-C device supports DP alt mode and USB Power Delivery. Supports all devices with the USB-C interface with “DisplayPort Alternate Mode” and „Power Delivery”, or Thunderbolt 3 port. 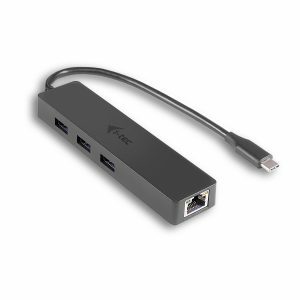 3x USB-A 3.0 ports for connecting all existing hardware and accessories, including 1x Fast Charge port. USB-A ports are compatible with USB 3.1 and backward compatible with USB 2.0 devices. 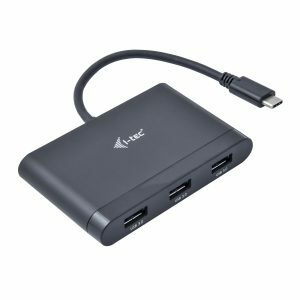 USB-C port for connection of docking station to laptop or tablet with Power Delivery (profile 4 max. 60W) for charging notebooks or tablets that support Power Delivery technology. Ideal for graphic designers, financial officers, gamers and other users working with more than one monitor simultaneously using the “Mirror” or “Extend” modes. Connect your laptop, tablet to your favourite devices via new USB-C or Thunderbolt 3 interface. A single cable assures both connection of the docking station and charging the laptop or tablet. Graphic interface: 1x HDMI and 1x Display Port. Max. resolution of 4K Ultra HD 3840×2160@30Hz Single Display, max. resolution for Dual Display (MST) is 1920×1200@60Hz. Apple laptops can be connected to a single monitor only. Mac OS does not support MST utility. Dual Display transmission is supported by Thunderbolt 3 docking station. 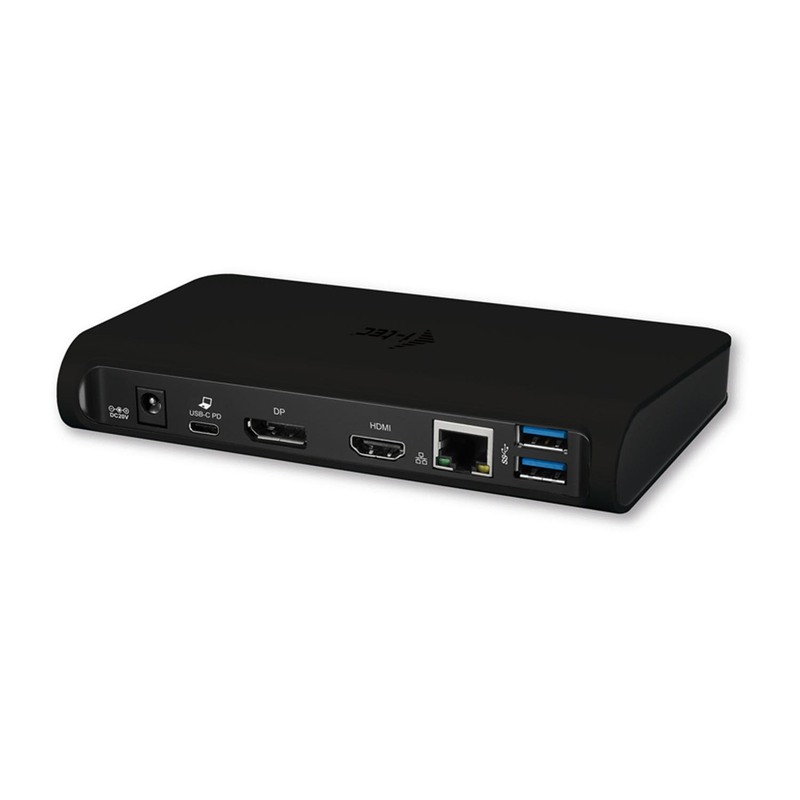 1x USB-C port for connection of docking station to laptop or tablet with Power Delivery with the profile 4 (max. 60W) for charging laptop or tablet with Power Delivery technology. Hardware Notebook or tablet with Windows, Mac or Google OS. Available USB-C port with Display Alternate Mode and Power Delivery support, or a Thunderbolt 3 port. Question: My MacBook was shipped with an 87 W charging adapter. Will 60 W Power Delivery charge my MacBook? Answer: Yes, it will just charge slightly slower. Question: I have your device and the image transfer does not work. Answer: Your device must meet system requirements, especially DP Alt. Mode support on the USB-C port. 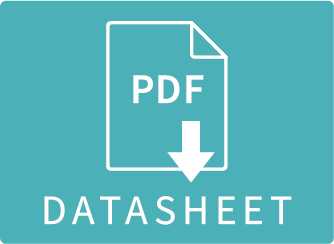 If you are not sure about DP Alt. Mode support on your device, please contact your device manufacturer or our technical support: support@itecproduct.com. Question: Why is on my MacBook only the mirror mode or only one video output working? Answer: Unfortunately, MacOS does not support MST and is only capable of mirroring both outputs, or only one can work. Question: Supports the “USB-C Alt Mode” HDMI output at 4K resolution 60 Hz? Answer: No. A port which complies to the HDMI 1.4 (when using USB-C Alt. Mode) at 3840×2160 resolution can reach maximum 30 Hz. At a resolution of 2560×1440 and below, you can set 60 Hz. Question: Can I connect another USB-C DP Alt. Mode graphic adapter to the USB-C port of the docking station? Answer: In the case of USB-C DP Alt. Mode technology, it is not possible to use multiple adapters by connecting them in series.